Thanksgiving has come and gone, it's less than 3 weeks to Christmas, and there is a lot of decking the halls still to do. I also work a lot this time of the year, and it gets harder to have time to have "real" meals. Yeah, sadly, many of my December meals start with Mc-something. But it's still important for me to keep getting all my veggies -- even if I don't have to cook or eat them. That's right. Thanks to the folks at V8, I can drink them instead. One 8-ounce glass of V-Fusion is like eating a full portion of veggies -- and there's extra vitamins and antioxidants! 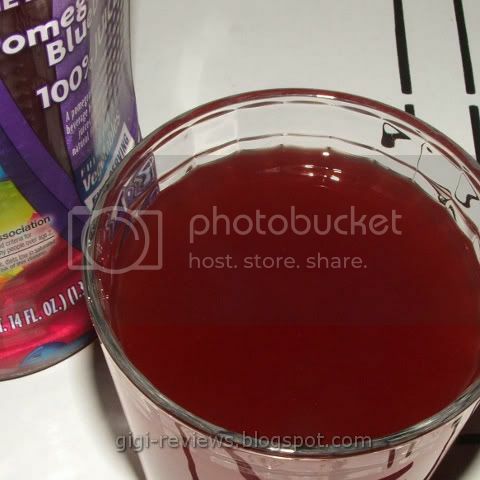 The juice itself looks like a darker version of cranberry juice. It smells kind of like cranberry juice, too. If you didn't know it, you would never guess that there are vegetables hiding in there. Both the blueberry and the pomegranate play nicely together -- but if you are hoping for a strong, assertive "grown-up" juice experience, you aren't going to find it here. This version is quite mild. The berries taste sweet, the pom adds some tartness. 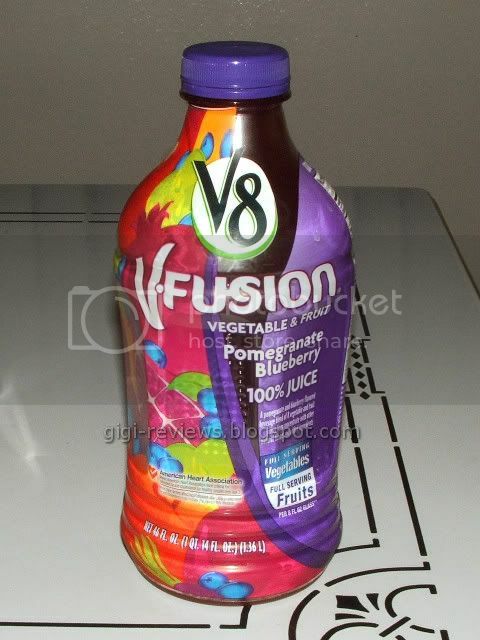 According to the V8 website, the product also contains the juices of carrots, sweet potatoes, purple carrots, tomatoes, apples and white grapes in addition to the main two flavors. I can pick up the carrot (which is fine, as I really love carrot juice), but the other flavors are pretty well hidden. 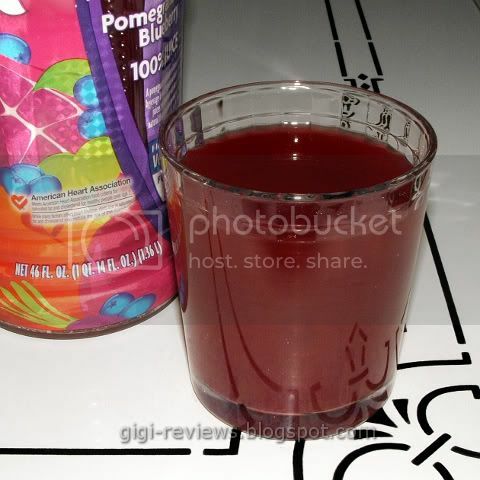 Personally I prefer my pom juice bolder than this, but that did not stop the bottle from going mysteriously empty quickly. (Of course, I do have juice gnomes in my fridge...). I think that this could also be a good flavor to use to get kids (or other people who dislike change) to try different flavors.